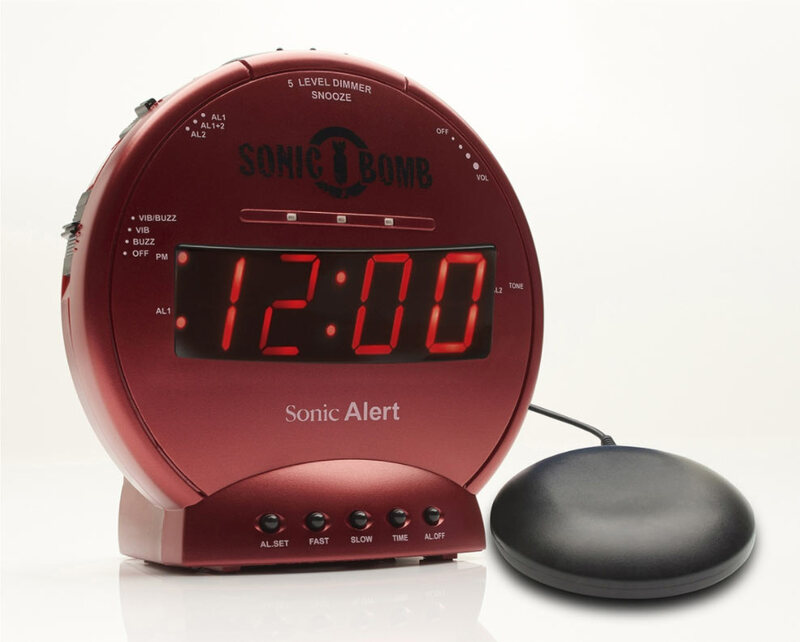 We dare you to sleep through this alarm clock, specifically designed for the hearing impaired. 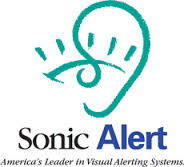 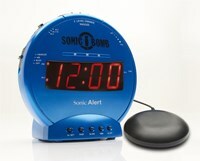 If the 113 dB adjustable tone and volume alarm do not wake you, the 12V bed shaker sure will. 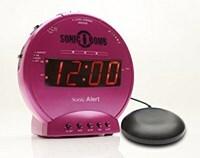 This hearing-impaired aid alarm clock is stealth gray colored with red controls, night vision display and pulsating alert lights complete the picture to give you an alarm clock that is hard to beat. 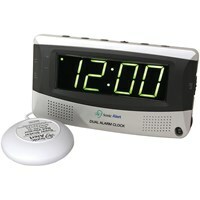 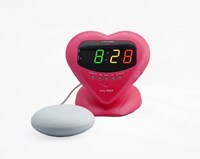 This bed shaker alarm clock features battery back-up, maintains time and alarm setting in the event of power failure. 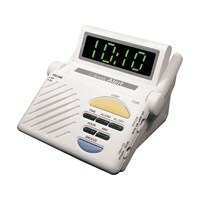 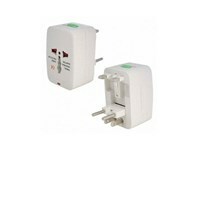 110V power supply included. 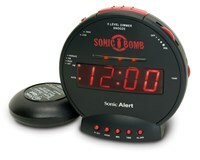 9V battery for back up not included. 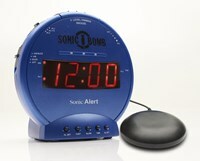 Clock measures approximately 5.5 H x 5 diameter. 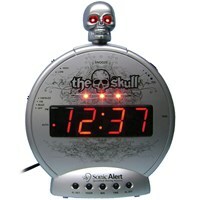 Shaker is approximately 3.5 diameter. 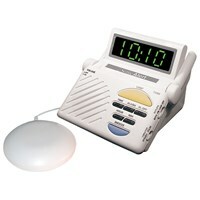 Complete weight under 2 lbs.